Since launching my free daily goals download, I have received a few questions about how I keep up with my work. The daily goals document helps to keep me on task each day, but it's also important to reflect and return to the items you have crossed off your list. Here are a few ideas to help you keep track and to remember to follow up. We are all obsessed (at least I am) with keeping up with our calendars. I use mine to book meetings, coffees, events, speaking engagements, and family stuff. What I have started to do is return to it each Friday to review who I met with that week. I then start a follow up list, so I can remember how I should follow up. Do I need to send a Futureforth proposal? Do I need to make an introduction for someone to another person in my network? On Fridays, I check my email sent box. Who did I write to this week? How should I follow up? I also make it a habit of reviewing my Twitter direct messages, LinkedIn mail, Facebook chats, and my regular voice mail and text messages. Who did I communicate with? Are there any next steps I forgot to do? Each Friday, I review my Daily Goals. It feels wonderful to scratch items off the list as I complete them through the week, but some items lead to new things to add to my agenda. 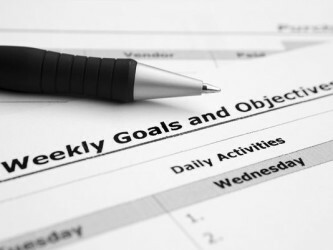 Don't recycle your completed goals documents. Instead, review them and keep them in monthly folders. I also use Baydin's Boomerang in my Gmail. This is a free service to make emails return to my inbox at later dates. For example, if I email you a proposal, I will set it to return to my inbox in one week if I have not heard back from you yet. This helps me keep organized and feeling (somewhat) sane. These are a few ways I keep up with my work each week. It is easy to do the work and to move on to the next thing. We need to take the time to reflect on our week. Ask yourself how you wasted time and consider your accomplishments too. Never forget to follow up, that's a crucial part of business networking.